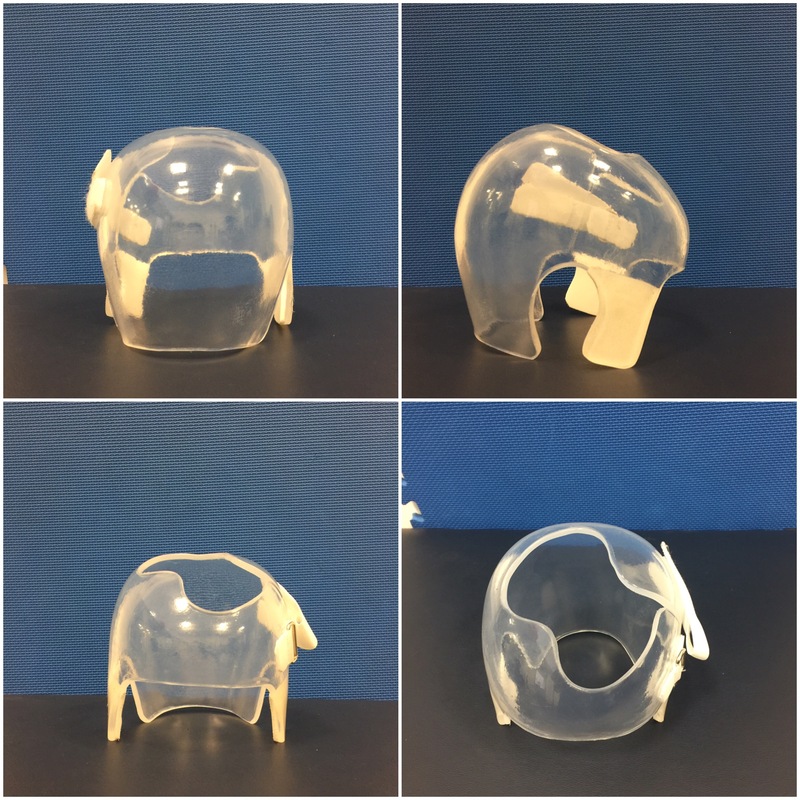 We have 2 patients that came in with these new clear helmets for the first time this month. The coolest part about the helmet is that it really is see through! And parents say the head doesn’t get too sweaty or smelly compared to when wearing the foam ones. The biggest drawback: they are wayyyy too heavy. If a child has unresolved congenital muscular torticollis and wears one of these things, their head tilt could get worse. Also it makes it more difficult to lift the head during tummy time. I’m curious to know your thoughts and experiences. Obviously the ideal way to correct a flat spot is through physical therapy and respositioning. The goal is to resolve the root cause before the helmet comes off! Otherwise you might be looking at needing a 2nd or 3rd helmet….